Michigan Chronicle publisher and Real Times Media CEO Hiram E. Jackson. 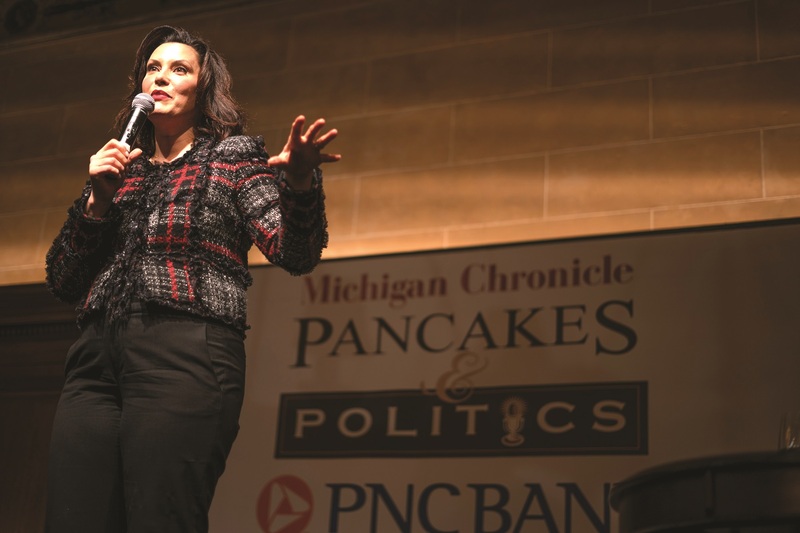 The Michigan Chronicle’s Pancakes and Politics kicked off its 2019 forum season with Governor Whitmer discussing her new vision for Michigan. 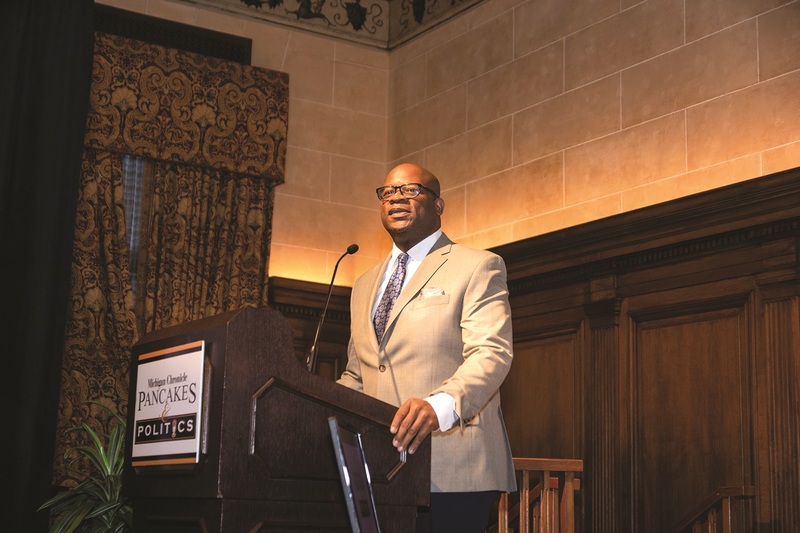 The 14th annual event was hosted by Hiram Jackson, CEO of Real Times Media and publisher of the Michigan Chronicle with longtime presenting sponsor, Ric DeVore, Regional President of PNC Bank. 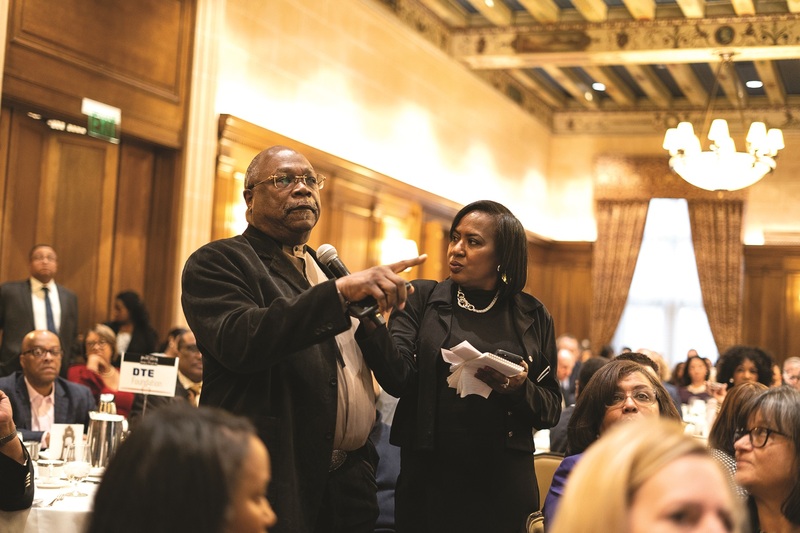 The event was moderated by Dennis Archer, Jr. CEO, Ignition Media Group and President, of ACS and Vickie Thomas, Morning Drive and City Beat reporter at WWJ Newsradio 950 kept a constant stream of questions on track from audience members. The governor responded by saying three things: First, “It was important in building my cabinet to make it representative of our community. The best candidate out of numerous excellent choices for the Michigan Department of Transportation happens to be an African American, Paul Ajegba.” Second, she summarized the rationale for the gas tax by saying: “on average, the per motorist cost would be $23 a month and generate an additional $2.5 billion a year for the state.” She further defended the gas tax by saying: “Every driver in Michigan is already paying a hidden tax on our roads having to buy new rims and tires frequently, with estimates of $600 annually in repairs and the cost just went up. If we don’t raise the $2.5 billion we need to actually fix our roads the right way, with the right materials, the cost will continue to go up year after year.” Third, she assured attendees that she will work with the legislature to fix the predatory auto insurance rates in Michigan.